It's a very simple concept and somewhat obvious advice, but too few small and midsize businesses consider conducting a survey to gather information. Small business owners and board of directors make decisions daily based entirely on their personal opinions, and in group settings the loudest voice oftens drives the decision. That's unfortunate, as better business decisions and strategic plans can be made with some actual client survey data in hand. Gathering client feedback is far simpler and more affordable than you might imagine, and we are here to help you implement your first survey. There are many reasons to create online surveys. 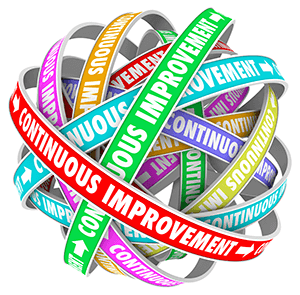 Without statistical data, managing for continuous improvement is impossible. Causal Research can help explain the cause and effect relationship between variables. People love to tell you what they think. They want to be asked. So don't be shy. Ask one person for advice about your business or organization, and it's hard to know whether we should take action based on one person's opinion. Ask a hundred people, though, and you'll see a much clearer picture. Contact us today to discuss how to implement your first survey.